The ABB AbilityTM Innovation Center in Bengaluru, India was the scene for a true battle of the best of India’s startups last month. 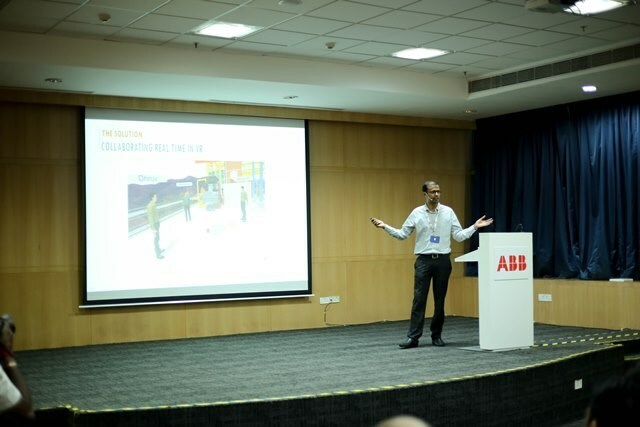 Invited by ABB Technology Ventures (ATV), the Venture Capital arm of ABB, the “Startup Pitchfest” took place for the first time and the guest list included key figures from Bengaluru’s technology scene. Innovative ideas presented at the event ranged from technologies that enable real-time meetings in 3D to professional drones that collect next level big data. The eight dynamic entrepreneurs invited to the event had seven minutes to pitch their ideas to a group of ABB experts. The ideas were evaluated on criteria including novelty, originality and feasibility. Arvind Vasu, who leads the Asia investments for ATV, considers gatherings such as ATV’s Pitchfest a win-win situation for both startups and large organizations such as ABB. “The brave survive and the engagement with startups ensure that the big dreams of corporates are realized faster,” he said. While a competitive event, the Pitchfest was also about encouraging the spirit of innovation, collaboration and partnership, and developing relationships. The success of a young business hinges on its ability to innovate and collaborate. A single idea or product, however original, is not enough. It needs to evolve, it needs time to meet changing preferences and customer needs. “Digitalization is the enabler to move into Industry 4.0, and the new assets that we create should be digital ready,” said Sanjeev Sharma, country managing director of ABB in India. “Here we are looking at clever ideas, long term perspectives, and technology that will deliver more value to our customers. An idea cannot be just a flash in the pan, it needs to have durability and resilience,” he said. The best startup idea award went to Imaginate, which built a 3D interactive platform, using the best of both augmented and virtual reality. Ecolibrium Energy was first runner-up, for its predictive analytics solution for improving industrial equipment efficiency and uptime, and Logic Ladder won the third place for its smart energy management IoT system for buildings and smart cities that enable customers understand their energy costs better. The remaining presenters were Exact Space, Vyuti, Fabheads, Maximl, and AUS. Of course all the presenters were winners in the sense that each had the opportunity to meet with ABB technology experts, tapping into their knowledge and experience. As part of a “fireside chat” at the event, Ranjith Mukundan CEO of Stellapps, India’s largest Dairy IoT Company, shared with the audience his own startup experiences and what he gained by being guided by ABB. “Wading through all the legal papers during the early days was tough”. He added that ABB was a big help and always put the entrepreneurial interests first. Stellapps taps into India’s $70 billion dairy market with its SmartMoo solution, which can track animal’s health and yield through a wearable sensor. Founded by five IIT graduates in 2011, Stellapps has been part of ATV’s portfolio since May this year. SmartMoo is used by more than 750,000 small farmers to track their cattle’s health and measure important parameters such as milk quantity. Cementing a partnership with Stellapps will complement the ABB Ability™, the company’s cross-industry digital offering, and enables ABB to go to market in India with a cloud-connected, IoT-led, digital dairy solution. 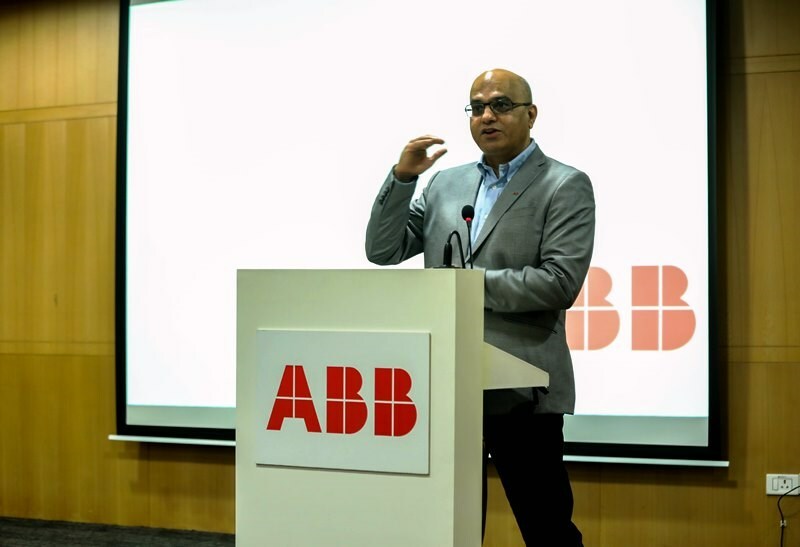 Nitin Tanwar, the founder of Indian startup Climate Connect and another veteran in the scene, shared that working with ABB brought more credibility in the eyes of its customers. “Customers have a lot of respect for ABB as a company that builds long lasting technology,” he said. Considered India’s Silicon Valley, Bengaluru is home to a number of startups that have changed the way we use technology every day. Whether taking a cab ride or getting your favorite food delivered to your doorstep, everything is now possible with one swipe on your smart device. Partnering with promising startups can help established companies learn about new technologies and tap into new markets. ABB created ATV in 2009 to act as a bridge between young entrepreneurs and the company that has been a pioneering technology leader for more than 130 years. ATV has active investments in 21 companies to date.